Expert level BMX race tyre. Affordable folding tyre with anti puncture (good for race tracks where there may be the chance of punctures). 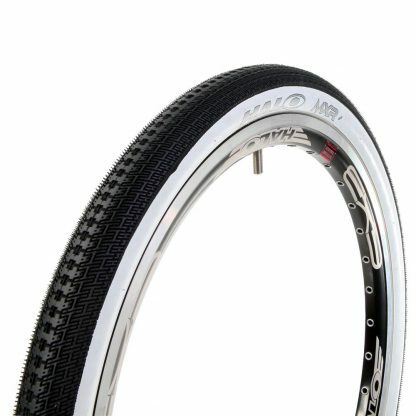 Ideal for all normal racers who just need one tyre to use. Black Skinwall and option for White Skinwall. 20 x 1.60: Black 268g, Whitewall 295g. 20 x 1.75: Black 305g, Whitewall 310g. 20 x 1.95: Black 325g, Whitewall 345g.